The Harlan County Public School District is excited about all of the opportunities available to our students, employees and community as a whole. We hope that you will join us as we celebrate the successes of our Schools, Programs, and District and ask that you become involved in the education of our children. Below and on our News page you will find a number of publications that will reflect the hard work and dedication of everyone involved. - Seventh grade writing students from Rosspoint Elementary were recently given an assignment to choose a business that they thought would be successful in Harlan County. - Rosspoint Elementary School's students, parents, grandparents, faculty and staff celebrated Dr. Seuss' birthday on Tuesday evening at the school. 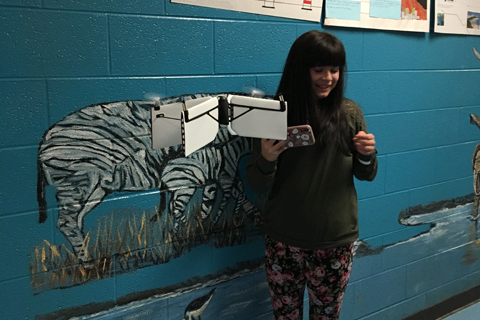 - Students in John Middleton's seventh-grade science class at Evarts Elementary School recently performed work on their egg drop devices. 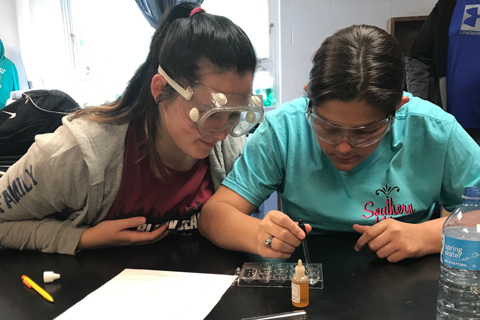 - Students in Mr. Devin Watts’ 4th & 5th grade science classes and Mrs. Rachel Huff’s 3rd grade science class recently participated in a science fair. - With the reports of wide spread flu and other illnesses in the region, Harlan County Schools custodial staffs are working extra hard to sanitize our schools. - Mr. Carlton Hughes’ Dual Credit Public Speaking Class at Harlan County School School recently created and filmed their own commercials in the school TV studio as part of a unit about persuasion. 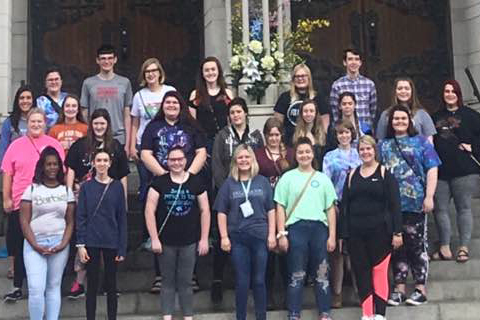 - Harlan County High School’s Ally Alred has been selected to participate in the High School Student Congress to be held in Lexington in June. 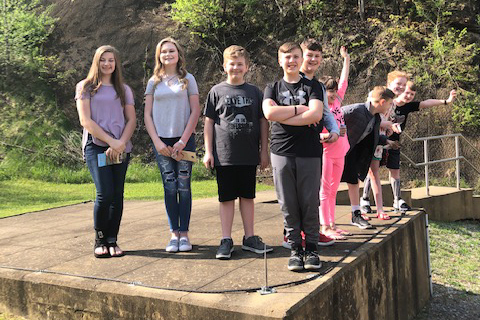 - Mrs. Tracy Spurlock’s eighth grade students at Wallins Elementary School mentored Mrs. Lyndsey Carmical’s third grade class in a lesson about fossils. - Cawood Elementary School recently held Dr. Seuss Day activities. The students dressed as their favorite Dr. Seuss characters. - Students in Mrs. Mary Kneen’s class at Rosspoint Elementary recently dressed up as Dr. Seuss characters! When using a screen reader to access documents such as .pdf’s on the District and individual school websites, please note that you might have to refresh your screen in order for the material to be processed. If you are using JAWS, please press the JAWS key along with Escape. For NVDA, press the NVDA key along with Escape. If you have additional questions or concerns, please contact us. Welcome to the Harlan County Public School District web site. We hope that you find it to be resourceful as you explore all that our school system has to offer. As always, we encourage you to play an active role in the lives and education of our children. Please feel free to contact us with questions and/or comments about our District and how you can make a difference. Our Mission is to empower ALL STUDENTS for the choices and challenges of the 21st Century. We accept the responsibility of providing a quality education to ensure that each student regardless of gender, ethnicity, socioeconomic or physically challenged status, has the opportunity to develop their abilities to the highest level. We embrace the goals set forth in the Kentucky Education Reform Act: expecting high achievement from all students; commitment from the community, parents, faculty, staff and administrators placing emphasis on the relating education of real life experiences resulting in smooth transition into adulthood; and providing a risk free, caring, safe environment. Be sure to review the Harlan County Schools Calendar to keep up with important dates and information. 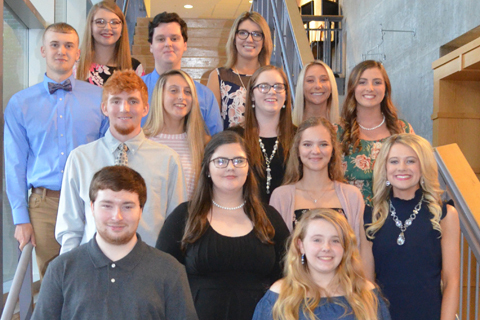 Harlan County High School Graduation will be Sunday, May 26th, 2019 @ 2:00 p.m. Please visit our Employment page for information regarding Certified and Classified employment including job postings, applications, required documents and more! Employment Checklist Cert. Substitute Teacher App.